Moving Interstate – Australia Wide. Moving from one state to another is not as easy as most people think. Organizing the move and setting up your new home is just the start. Cleaning the previous property and disconnecting utilities etc can take some time and effort. It’s not as if they could just pack the things, load it in the car and then unload them in the new home. It’s very tiresome and will really eat up the people’s time, effort, and patience with each other. The process can often be stressful for most people. So if you want to rid yourself of all the drama of moving, why not hire a moving company such as Interstate Removals to do the job for you? You do not have to worry yourself about the heavy lifting or even the packing if you prefer having your mover do the packing for you. Before you can start your planning, the hardest part is having to choose an Interstate Removalists Australia company who will do the job well and without loss. You can do the search online or in the papers however most people search in Google. You can check the internet with possible movers and the yellow pages with regards to moving. Go for companies who have already built their name and are credible. You will know these through their stay in the business and asking for references from clients they have serviced before. 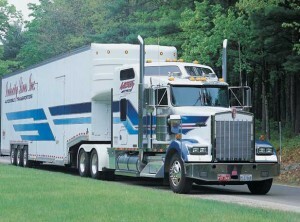 By doing this, you will feel more secure and stress-free moving forward on your chosen mover. Also, go for companies who give a wide array of service and those who are willing to customize their services to address the needs of the client. Some Interstate Removalists Australia companies’ services include the moving from packing from the old home down to the rearranging of the things to the new house. With this, you wouldn’t have to tire yourself out and feel relaxed just by having others do the moving for you. Lastly, go for companies who have certifications and will adhere to what you have discussed and signed in the contract. Moving companies who also offer insurance coverage is the better choice because you know that your valuables are insured no matter what happens. Moving Insurance can be obtained through CARTS Removal Insurance. Here you are able to obtain quotes for transit or full moving insurance.